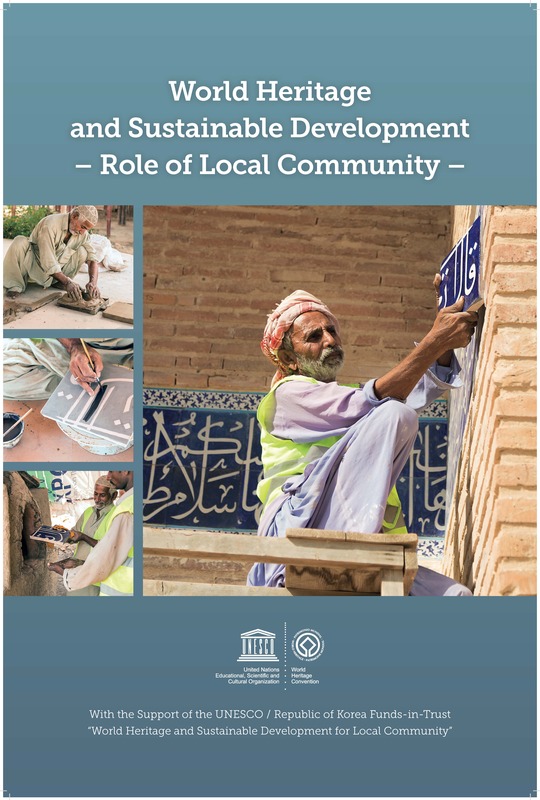 An inter-regional workshop entitled “World Heritage and Sustainable Development: the Role of Local Communities” was organized at the National Museum in Karachi, Pakistan (23-24 November 2017) by the World Heritage Centre in close co-operation with the UNESCO office in Islamabad and the Department of Archaeology of the Government of Sindh Province, Pakistan. The Workshop, opened by the Minister of Culture, Tourism and antiquities of the Government of Sindh and the UNESCO Representative to Pakistan, brought together experts from Bangladesh, Iran, Jordan, Nepal, Oman and Pakistan to showcase the role of heritage as a vector for sustainable development, but also to advocate the importance of the role that can be played by local communities in conservation and management of heritage sites notably in World Heritage properties. The Workshop also served as a platform for an intensive exchange on various issues related to the engagement of local communities as a major stakeholder in an inclusive manner, and to optimize the role of local communities and their active participation in the management of heritage sites. The discussion touched upon crucial questions such as the legal status of local communities, how to deal with conflictual situations, and rights and responsibilities, among other subjects. Participants also undertook a one-day field trip to the Makli World Heritage property as well as to the Glazed Tile Atelier established within the Republic of Korea Funds-in-Trust in cooperation with the Heritage Foundation. The Atelier served as a training centre within the UNESCO Project to upgrade the quality of glazed tiles so that they can be used for conservation purposes. The Atelier also provided training in ceramic production for women from the vicinity of the Makli World Heritage property. These outreach activities that the Heritage Foundation initiated with the support of the UNESCO/RoKorea Project have brought considerable change to the lives of local women: they have a role to play which is linked to the conservation of a World Heritage site, and therefore a sense of pride in addition to the material benefits brought to them from ceramic production. The Workshop is designed to contribute to the implementation of the Global Strategy of the World Heritage Convention 2012-2022, that aims to link the conservation and sustainable management of World Heritage properties to local communities, as well as the Policy Document for the integration of a Sustainable Development Perspective into the Processes of the World Heritage Convention, adopted by the 20th General Assembly of the World Heritage Convention in 2015. The Workshop was made possible thanks to the UNESCO/Republic of Korea Funds-in-Trust and was organized at the invitation of the Ministry of Culture, Tourism and Antiquities of the Government of Sindh, Pakistan.